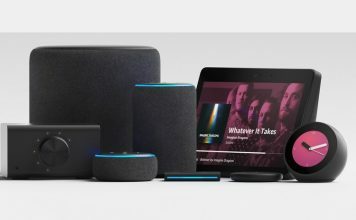 Amazon’s voice speakers paved the way for a new wave of home tech gadgets. 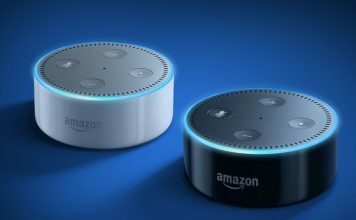 Both the Echo, the Tap and the Echo Dot were excellent products to bring the voice-powered AI to our homes. 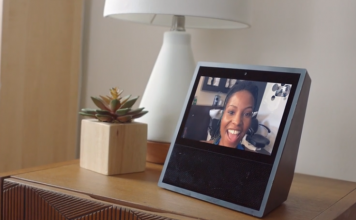 Amazon has improved the line-up by launching the new Echo Show which also features a big touch-screen. The touch-screen gives the users a whole another dimension to interact with the beloved voice powered AI, Alexa. Alexa has made our lives easier in many different ways. She is our personal assistant who is always awake and always listening, allowing us to create events in calendars, play music, order kinds of stuff, control the lighting, and much more. 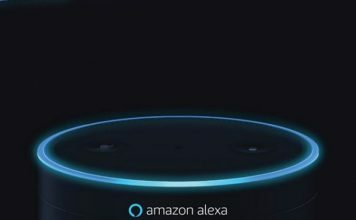 However, this accessibility feature of Alexa, which makes it so easy for us to interact with her also makes her vulnerable, especially when it comes to her purchasing power. 1. 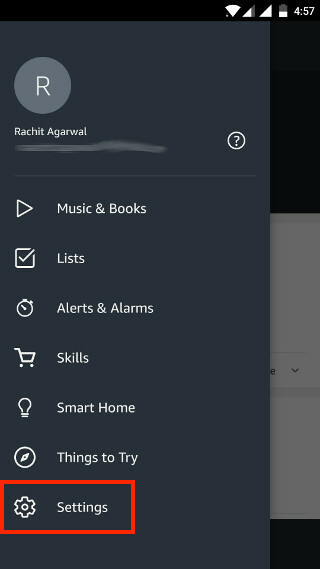 Open the Alexa App and tap on the hamburger menu to bring the side menu, or, you can just swipe from left to right. 2. 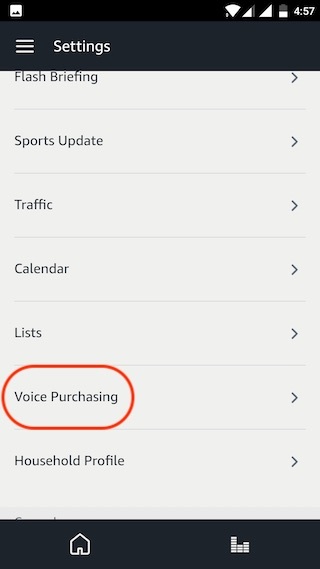 Then, tap on Settings and scroll down till you find the “Voice Purchasing” option as shown in the picture. 3. You will see a “Require confirmation code” option, enter your 4 digit PIN and hit save changes. Your pin has been set up. 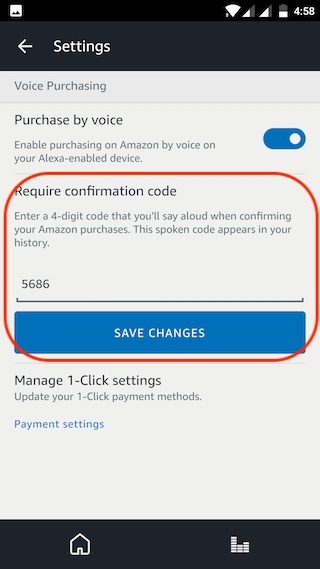 Now from the next time, whenever someone is trying to buy anything with the help of Alexa, he or she will have to speak the code aloud to complete the purchase. Enabling the PIN is a good step to secure Alexa’s purchasing power, but it still has a big drawback. Since you need to speak the code aloud, there’s a high probability that someone can easily ear drop and listen to your code. If you want to completely safeguard Alexa’s purchasing power, the only way to do it is by disabling it. 1. 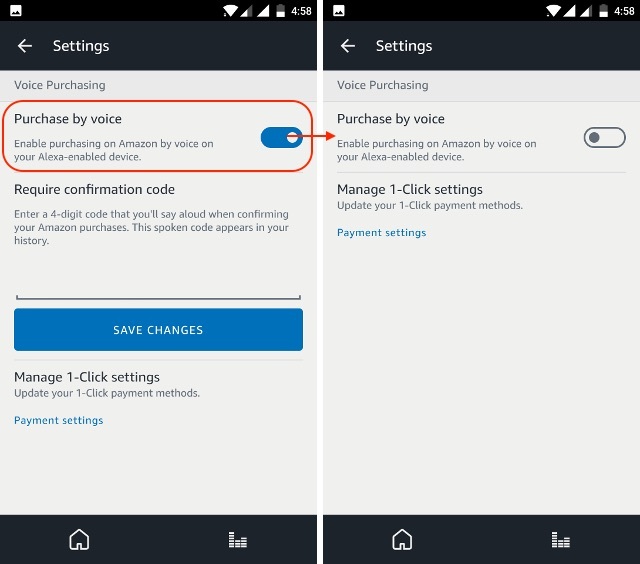 To do that, we need to follow the similar steps which we took in the previous section, i.e, go to Settings->Voice Purchasing. 2. Now instead of setting up the PIN, disable the “Purchase by voice” toggle. Now, no one will be able to make purchases through Alexa including you. 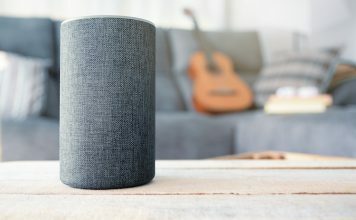 If you have been looking for ways to stop people from making unauthorised purchases through Alexa, this is the way to do it. We love Alexa, and we don’t want anything to interfere with that feeling. What about your thoughts on Alexa’s voice purchasing skills? Tell us your Alexa stories in the comment section below. Can Amazon Conquer India Through the Power of Voice and Alexa?